What started as a planned two-week haulout to re-do a poorly done bottom job finally ended last Saturday, after 5 months, 1 week, and 3 days, when we got Smartini in the water again! I’ll do a more thorough article on a lot of the things that were done, but here’s a partial list (in case you think we’ve just been goofing off!). Also, we were away from the boat for various reasons (some good, some not so good) for a total of 56 nights during that stretch – almost two months! Remove rudder; drain oil from it (it’s hollow, so has to have some liquid in it to prevent it from rusting inside); paint it with 4 coats of epoxy; re-mount it with all new hardware, half of which required having parts ground down to fit into the tight confines; re-fill it with propylene glycol (an environmentally friendly anti-corrosive). Pumping antifreeze back into the main engine. Drain keel cooler of 15 gallons of antifreeze; repair small leaks; prime and paint; refill with new antifreeze. Disassemble prop shaft line cutter; clean and reassemble. 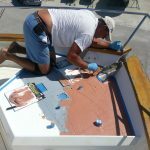 Remove all hull zincs for bottom paint; re-install after painting. 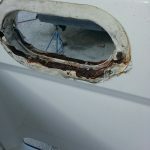 Remove side boarding door for rust repair; repair, fair*, prime and paint*; re-install. Chris Bryan applying the second or third coat of fairing to the bow area, to make it all flat and pretty again, after new steel was welded in place. 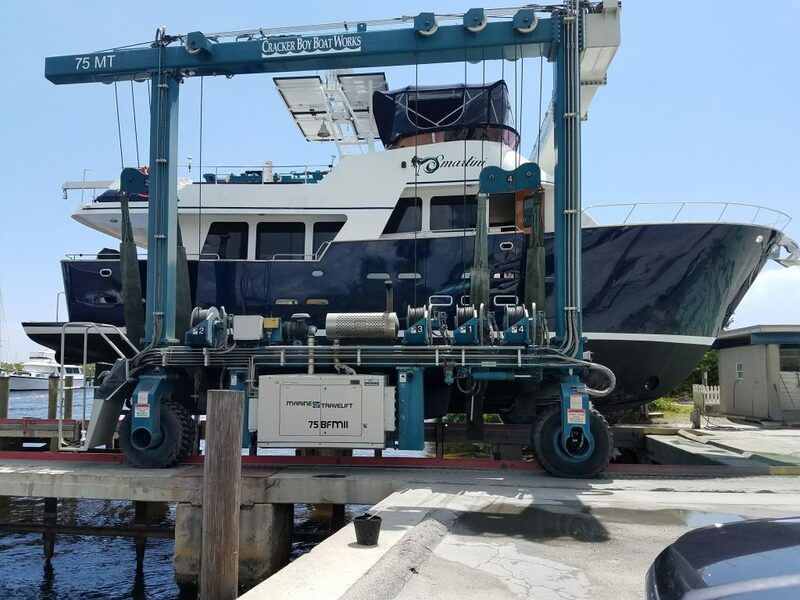 Remove the anchor windlass (the hydraulic winch that raises and lowers it) and all associated hardware; remove fresh water spigot from same area (all in preparation for the aforementioned rust repair). Remove every porthole on the boat (eight of them); inspect for rust (one was bad, the rest were minor); repair minor rust; wait for major repair (welding), fairing, and painting*; clean all the old 5200 (sealant) off the portholes (which took Fran two entire days! ); reinstall. 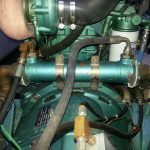 Remove main engine exhaust elbow insulation; remove exhaust elbow and take it to welder to repair leak; have new insulation made; re-install elbow and test; remove it again to take it back to the welder for him to fix it right this time; re-install. Transmission cooler. Now it’s all shiny and white. Remove transmission cooler and take to be cleaned; reinstall it. Old main engine temperature sending unit, on right. 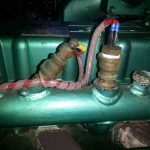 Remove main engine temperature sender; replace with new one (after 3 trips to the auto parts store to get the right adapter, then having to drill out and tap the inlet hole another 1/4″). 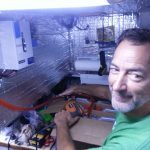 Reinstall the windlass and all associated hardware; relocate the fresh water spigot. 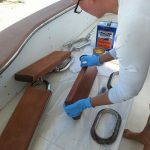 Fran putting Teak Sealer on some small sections of the cap rail, prior to re-installing them. A rusty hawse hole, with the stainless steel liner / cleat removed. 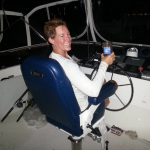 Captain Fran in her new captain’s chair. Remove old bench seat at upper helm and install fancy new captain’s chair. Replace installed fan beside each bed (much harder than it sounds!). I may come back later and add some more pictures, but so many people have been asking “When will you be back in the water?” for so long, I just can’t wait to post this! * Asterisk indicates things we paid other people to do, as they were beyond our skill level. 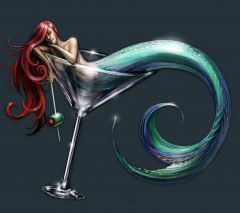 Author Brian SmithPosted on June 23, 2017 June 24, 2017 Categories M/V Smartini7 Comments on Back in the Water Again!